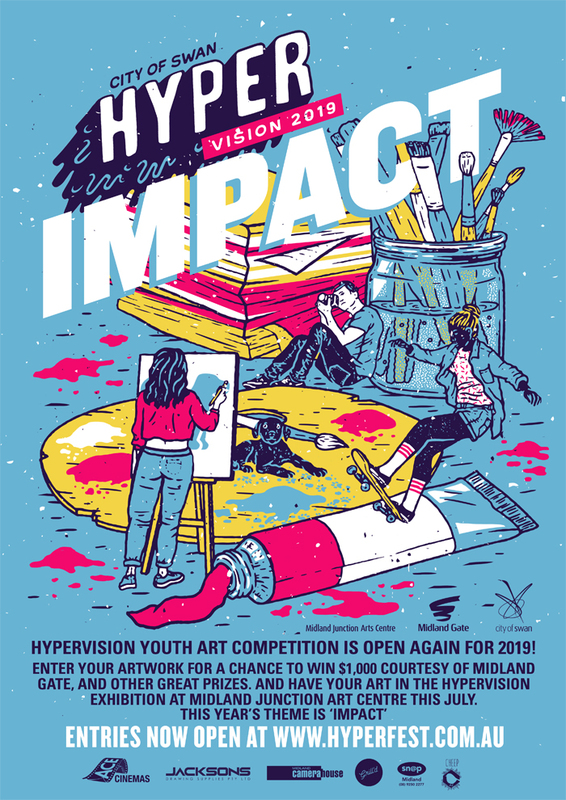 The City of Swan is seeking entries for this year’s HyperVision competition and exhibition. HyperVision is delivered annually by Hyper, a team made up of a group of young volunteers and supported by City of Swan staff. Artists are invited to submit work across photography, sculpture, traditional media, fashion/jewellery, short film, and experimental categories for a chance to win prizes and be exhibited at Midland Junction Arts Centre. There will be major prizes awarded for each category and an overall winner will take home the grand prize of $1,000 cash. City of Swan Mayor David Lucas said this year’s contest asks artists to submit works that discuss, display and explore the concept of 'Impact'. “Every year, the work submitted is incredibly inspiring and demonstrates the sheer level of creative talent in our young community,” he said. Artists this year are encouraged to consider what impacts their lives; what impact they make on the planet, their world, their community, and other people. They are also asked to think about what impact means to them, and what impact they think they should be they trying to achieve. Applications for HyperVision are open for West Australian residents aged between 12 and 25. Entries close at 4pm on Friday, May 31 and successful finalists will be notified on Monday, June 10. Finalist artwork will be exhibited at Midland Junction Arts Centre for four weeks from July 6 to August 9.